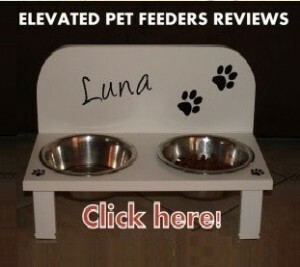 Pet Store Wood Multi-Cat Raised Feeder Review - Does It Work? 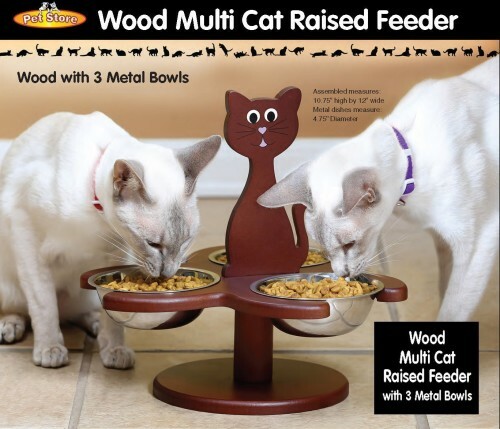 Pet Store Wood Multi-Cat raised feeder allows you to feed up to 3 cats at once. 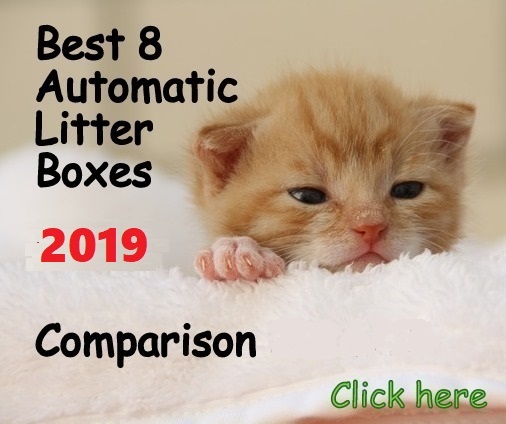 With its metal bowls, this multi-cat feeder prevents feline acne and it’s a convenient way to feed your cats, because you don’t have to lean over 3 times picking up and placing 3 different bowls. 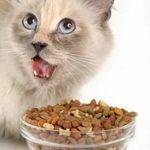 Elevating the food promotes better digestion and allows cats to eat in a comfortable position that lessens joint and neck stress. Raising the food also prevents bugs and dust from getting into the food. This wooden raised feeder features a cute cat-shaped handle that facilitates carrying it. The bowls are 4-3/4”dia x 1-5/8” height. Each bowl has a capacity of approximately ¾ cup dry food. Height of bowls from the ground is 4-1/8”. The bowls are removable and dishwasher safe on top rack. Removable metal bowls prevent feline acne. Bowls are top rack dishwasher safe. The unit remains stationary, it doesn’t rotate. Bowls dimension 4-3/4″ diameter x 1-5/8″H, each. 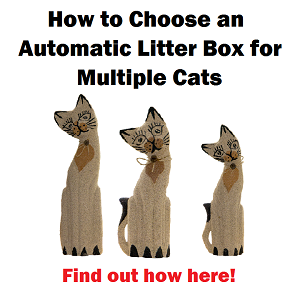 WHAT ARE THE PROS AND CONS OF WOODEN MULTI CAT RAISED FEEDER? Comfortable way to feed 3 cats without the need of leaning over to pick up and place the cats bowls. Elevating the food promotes better digestion. It keeps insects from getting into the food. Metal bowls prevent feline acne. Bowls have a good elevation (4-1/8″ from ground). Stainless steel bowls are the perfect size for an individual serving. Each cat with the right amount. The color doesn’t fade away with cleanings or water, it keeps its original color. The unit wobbles a little if all the 3 bowls are not filled. 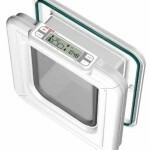 The base needs to be weighed down, a messy cat could knock the unit over. The wooden unit is made from “pressed” wood which could break overtime or if is not assembled carefully. 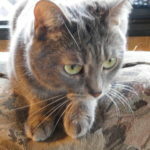 Can’t be used by cats wearing magnetic collar tags. 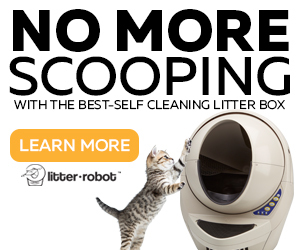 This feeder is an excellent solution to feed one cat dry and wet food and the third bowl as a water bowl. This way you don’t have 3 bowls on the floor. 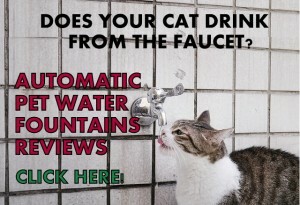 Consider this option only if your cat is used to drinking water close to its food bowl. 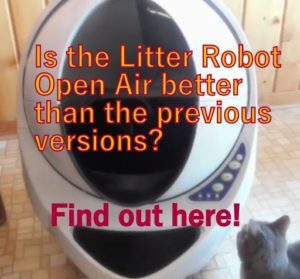 The cat-shaped handle can be removed if you think one of your cats might tip the unit over. 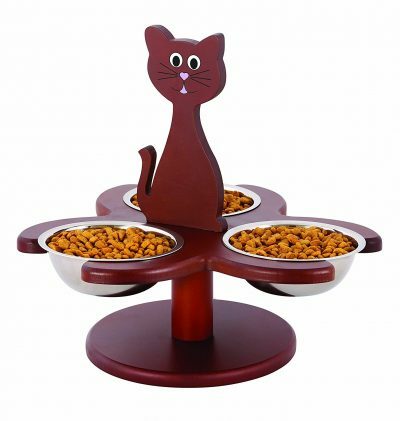 Pet Store Wood Multi-Cat raised feeder it’s a practical solution if you need to feed your 3 cats and you can’t handle having to lean over every time to pick up the bowls and putting them back down. 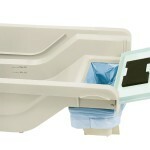 You can lift the whole feeder and fill the 3 bowls, place the unit back and you’re done. The Pet Store Wood Multi-Cat Elevated Feeder does the job of feeding your 3 felines and for a good price. 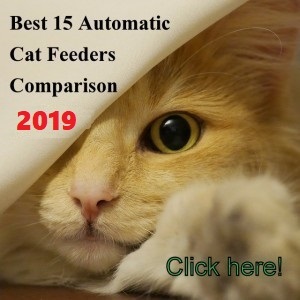 It’s important to note that this raise feeder is not suitable for cats that like to tip dishes over, because the feeder base lacks of enough weight to keep the unit stable if one of the bowls is empty and the others are full. The 3 bowls need to be filled for maximum stability.